Camilla Guillermo’s life has been turned upside down ever since she joined the Chicago Syndicate and was reunited with Adriano Montesi, the cocky and charismatic Mafia man who captured her heart two years ago. Finally, she has a family that she can depend on and the one man she’s always wanted but who was never truly hers before. 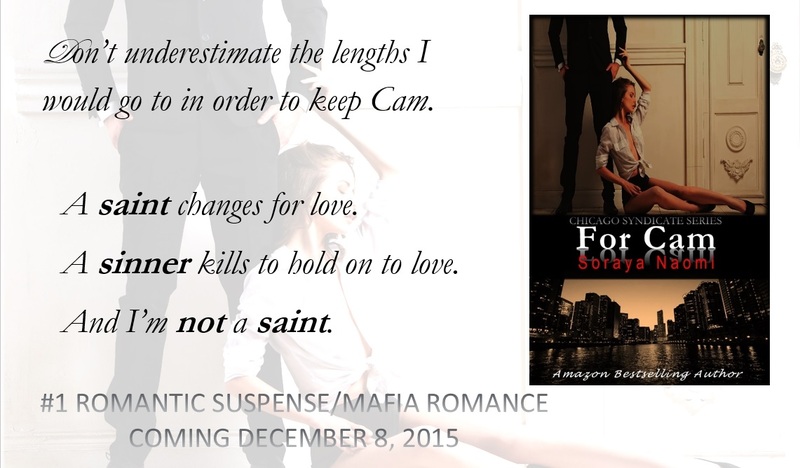 Adriano’s a man on a mission, yet Cam’s magnetic pull toward him doesn’t waver while he’s busy building a new empire. Although as his lustful affair with Cam grows into an undeniable love that neither of them can fight any longer, it also brings numerous conflicting emotions to the surface. 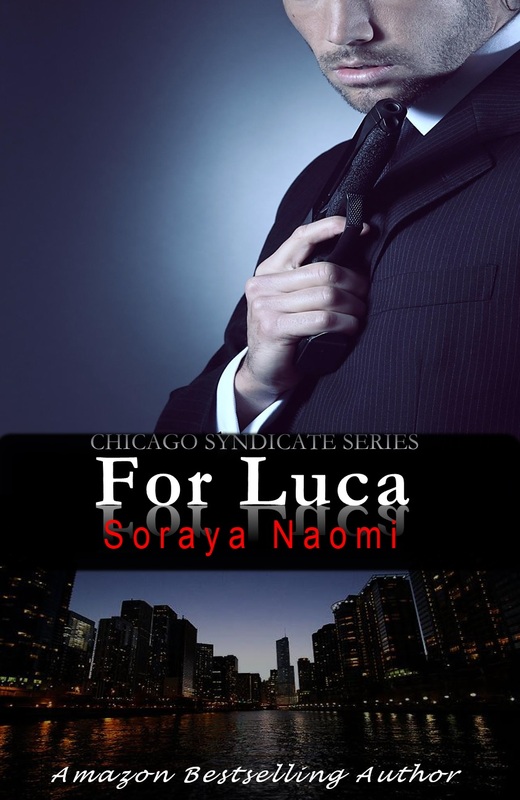 Emotions that seep into Adriano’s psyche while he becomes one of the most powerful men in Chicago. Love within the Mafia is more than complicated; it’s explosive. And now that Adriano and Cam are both members of the Chicago Syndicate, not only has everything changed, but their new roles in their business lives are accompanied with new rules, new players, and new deadly enemies that must be dealt with while they’re still cleaning up the dirt of their past. 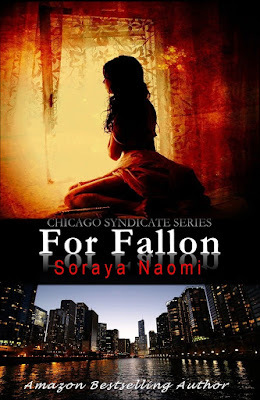 From Soraya Naomi, Amazon Bestselling Author of For Fallon and For Luca. Novel Grounds Semi Annual Literary Awards 2014 winner of Best Breakout Novel For Fallon (Chicago Syndicate, 1).